The incidents of violence in Tamil Nadu and Karnataka over sharing of Cauvery water have strained the relation between two southern states of India. Rainfall deficit, falling groundwater table, galloping demographic growth and the changes in land use have perpetuated the conflict. 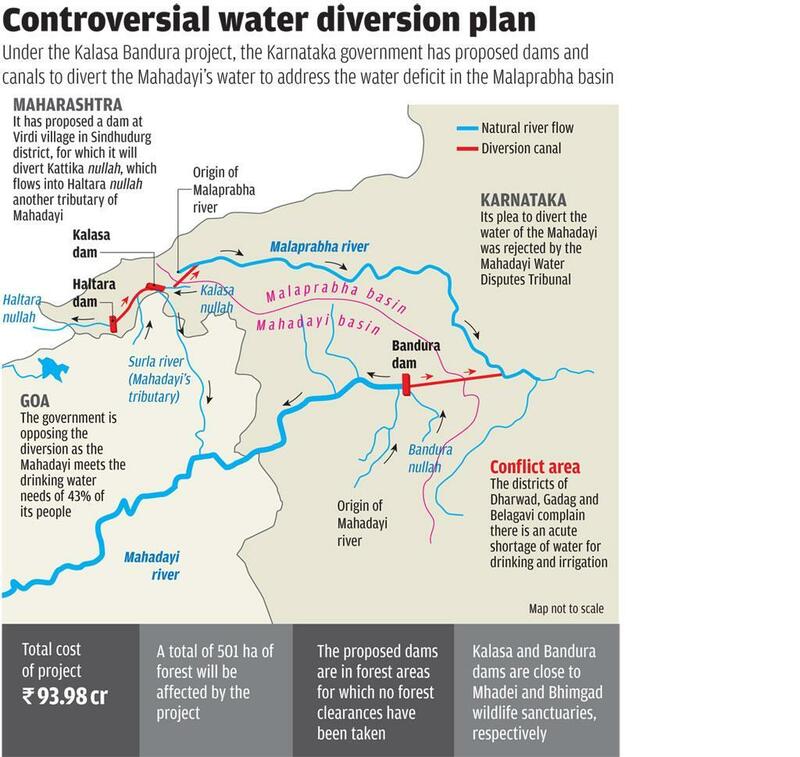 Karnataka and Goa are already at loggerheads regarding diversion of the Mahadayi River. Protests had erupted in north Karnataka in September when an interim order by the Mahadayi Water Disputes Tribunal rejected the state government’s plea to divert 7.56 thousand million cubic feet (TMC) of Mahadayi’s water to the Malaprabha River in Karnataka. Goa opposes diversion of water because the river meets the drinking water needs of over 43 per cent of the state. The seeds of a similar dispute are now being sown in Bundelkhand in the form of Ken-Betwa river linking project. 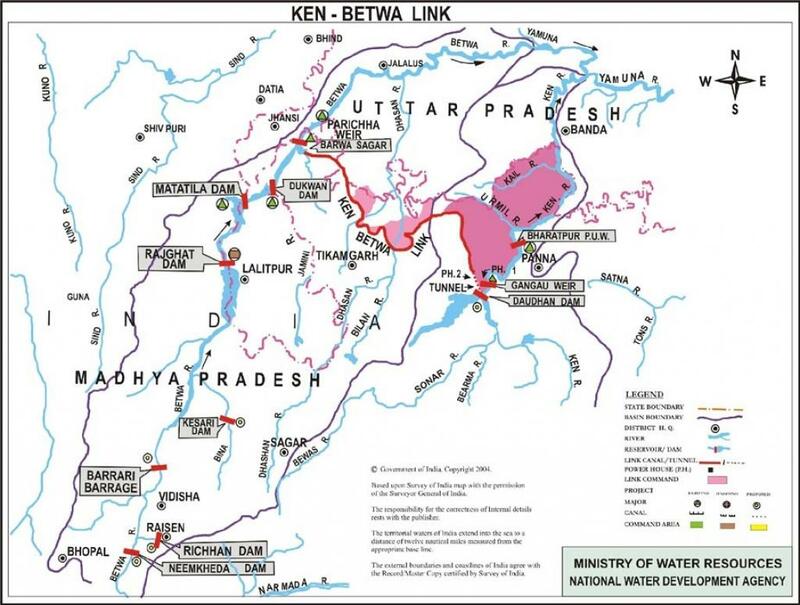 Diversion of surplus water from Ken basin to water-deficit Betwa basin is now a dream project for Uma Bharti, Union Minister for Water Resources and an MP from Jhansi. The scope of the project includes construction of two dams: Makodia dam across Betwa River and a 77-metre high Daudhan dam across river Ken in Chhatarpur district in Madhya Pradesh. According to the Ministry of Water Resources, the water from Daudhan dam will help in irrigating 635,000 hectare of land, meeting drinking water needs of 1.3 million people and generating 78 MW of hydropower. The quantity of water proposed to be diverted from Ken basin is 1020 million cubic metres. While Bharti has built a strong case in favour of the project, which, she thinks, will be able to tackle drought in the region, environmentalists are crying foul. Locals fear that diversion of water from the Ken River would destroy their livelihood. Those who grow watermelon, muskmelon and cucumber on the banks of the Ken River, are concerned over the changing course of the river due to illegal sand mining. Building a 231-km-long canal, which will siphon off water to River Betwa, will be a double whammy for them. Though the National Water Development Agency claims having made “detailed surveys and investigations of the headworks and the main canal” for establishing the feasibility of the project, consultation with locals doesn’t seem to have happened. There’s a growing feeling that the government should invest in developing more localised water management solutions like retaining rainwater through ponds, check dams and farm embankments. Locals feel that capturing run-off through field embankments and small check dams are much more viable than linking rivers. According to them, building a long canal makes sense only when there’s enough water to transport. Anupam Mishra, the renowned water conservationist, was critical of the project. He had questioned the obsession with the scheme to interlink rivers and wanted better management of rainwater to be given a chance. Although he is hopeful about the prospects of the river inter-linking project, he doubts whether the government agencies will be able to divert water at right time and in right amount. “Ultimately, we have to adopt Israel’s policy of ‘more crop per drop’ and ensure that every drop of water is optimised to its fullest potential. In our region, where hydrological drought is a commonplace, a different strategy is needed,” he concluded. Meanwhile, doubt has surfaced over the assumption that surplus water is available in the Ken river basin since rainfall deficit during the last few monsoon seasons and accelerated withdrawal of groundwater in the have reduced the water discharge in the Ken. Moreover, it is not a perennial river. Hence, the threat of flooding, which the Madhya Pradesh government has been harping on, is only during the peak rainy seasons. There have also been talks that the river-linking project has got the push just ahead of the 2017 Uttar Pradesh Assembly elections in order to woo the voters of Jhansi by promising drinking water. Odisha and Chhattisgarh are engaged in a squabble over a dying river. Yes. The Mahanadi river is dying as its natural flow is hindered and the water level is consistently falling. On December 2, Odisha sought an injunction from the Supreme Court against Chhattisgarh's "unilateral" constructions on the Mahanadi river. As a downstream state, Odisha is reportedly alarmed by Chhattisgarh's plans to build 13 barrages across the river, in a bid to extract more water. The Mahanadi river basin's total catchment area is about 141,600 sq km, with Chhattisgarh and Odisha sharing 53.9 per cent and 45.73 per cent of the area respectively. During the monsoon, the Mahanadi has a discharge rate of 57,000 to 85,000 cumec (2 to 3 million cusec) but in the dry seasons it turns into a trickle. River originates in Chhattisgarh's Dhamtari district and is important for the survival and sustenance of people in the state. Hence, it has every right to exploit more of the basin's capacity. The river flows naturally through Sarangarh to reach the Hirakud dam near Sambalpur. Hence, it has "equal entitlement" to its water, if not more. The projects on Mahanadi river are mainly aimed at providing water for “non-consumptive industrial use”. Odisha says that Chhattisgarh has already constructed three barrages unilaterally and they have affected the water flow to Hirakud dam during the dry spells. A study done by the Forum for Policy Dialogue on Water Conflicts in India (FPDWC) the water level is consistently falling, putting livelihoods of at least 20,000 families of farmers and fishermen at risk. However, the inter-state dispute has not allayed this concern. While Chhattisgarh chief minister Raman Singh claims that his state contributes more than 86 per cent of the water (35,308 mcm out of 40,773 mcm) into Mahanadi up to Hirakud Dam and utilises only 25 per cent of the water (9,000 mcm), Panda is not in favour of trusting the data blindly. “We must doubt these data because there’s no consensus on the authenticity of these statistics. We have been calling for an independent assessment of the situation to ensure greater transparency into the data that’s being circulated,” says Panda. How far is it true that Chhattisgarh, wants to maximise its revenue generation by exploiting more of Mahanadi water for industrial use? “Chhattisgarh is privatising, colonising and selling Mahanadi water to industries instead of using it for drinking and irrigation purposes. They are also loud about it. They don’t have any right to obstruct the flow of water to lower riparian state to give it to industries that use water 24x7, unlike the regulated use of water by farmers,” Panda argued. 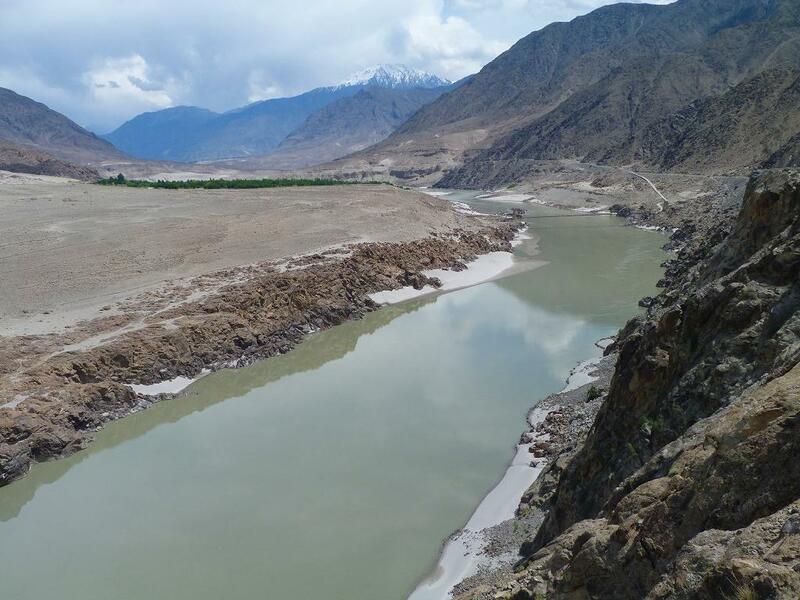 The year 2016 witnessed a diplomatic showdown between India and Pakistan over their rights to Indus system of rivers. The issue was similar to what India observed in the form of inter-state disputes. Pakistan is concerned over 330-MW Kishenganga and 850-MW Ratle hydroelectric projects that are coming up on Jhelum and Chenab rivers respectively. Pakistan fears that the projects would lead to a 40 per cent reduction of water flowing into the country and it also wants the planned storage capacity of the 850-MW Ratle power project to be reduced from 24 million cubic metres to eight million cubic metres. While experts in India have said that Modi’s off-the-cuff suggestion of abrogating the water sharing treaty is not technically possible, tension is brewing between the neighbours. According to the Indus Water Treaty, India has unrestricted access to all the waters of the eastern rivers of the Indus basin. Similarly, Pakistan is entitled to “unrestricted use all those waters of the western rivers which India is under obligation to let flow”. As World Bank decided to put on hold the request from India to appoint a neutral expert and to set up a Court of Arbitration as requested by Pakistan, it is now left to the two parties to resolve the issue. Pakistan is already facing water stress and the problem. 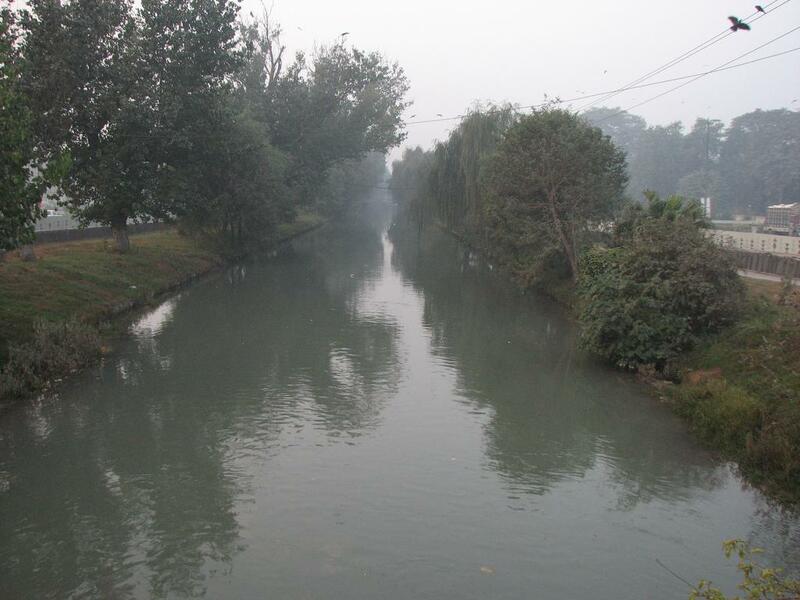 When stream flow in the Indus increased from 117 million acre feet in 1962 to 159.4 million acre feet in the early 1990s, Pakistan expanded the agricultural area in the basin. However, the stream flow reduced to 119 million acre feet by 2013, leading to water shortage. According to the International Water Management Institute of Pakistan, almost 93 per cent of water demand for agriculture in Pakistan is met by the waters of the Indus basin. According to NASA satellite data released in 2015, the underwater aquifer in the Indus Basin is the second-most stressed in the world. Being a water-intensive economy, Pakistan will be desperate not to cede any ground to India on water-sharing issue. Pakistan controls all the western rivers (Indus, Chenab and Jhelum) that flow from Jammu & Kashmir. The state has been demanding a review of the bilateral treaty as it doesn’t allow the state to use the water of the rivers. Hence, India cannot build big dams or power projects on Jhelum, Indus or Chenab. But reviewing treaty is not the solution to receding water level in the Indus basin. Out of over 17,000 glaciers in the Indus basin, more than 8,000 are in Jammu & Kashmir alone. A rise in average temperature in the winter months of December and January will not only change the pace at which the glaciers melt but also leads to decreased snowfall and increased rainfall. The peace between the two nations depends a lot on how warmer weather affects the flow of water. While snow melts slowly and ensures steady supply of freshwater all through year, rainfall results in run-off. The crisis will surface when there will not be enough water in these rivers to share with Pakistan. For those uninitiated, India has to allow 43 million acre-feet of water to flow into Pakistan daily. These issues should come to the fore when Pakistan's Indus Water Commissioner establishes a telephonic contact with his Indian counterpart at the end of December. As Punjab goes to polls in 2017, the issue of constructing 214-km-long unfinished Sutlej-Yamuna Link (SYL) canal is likely to spiral into a major conflict with both sides desperate for sufficient water. While Punjab wants to guard its own waters, Haryana wants the former to honour the commitment it had made while signing the water-sharing agreement in 1981. Punjab’s attempt to wriggle out of the water-sharing agreement was foiled recently when the Supreme Court decided in favour of constructing the canal and hence, offering hope to Haryana farmers. As the discourse remains limited to one state’s unwillingness to part with its water despite its neighbour going dry, the larger issue is overlooked. A study by the Center for Research in Rural & Industrial Development (CRRID)—a Chandigarh-based think tank—revealed lack of awareness on water conservation with even farmers making almost no effort to conserve water. Despite a fast decline in groundwater table, 79 per cent farmers in Punjab don’t do anything for better management of water resources. Moreover, about 96 per cent of all existing industrial units and 91 per cent domestic households do not harvest rainwater. Instead of fanning the conflict over sharing water, both Haryana and Punjab can adopt water management practice and improve water-use efficiency in water-stressed districts. How does water dictate India's relations with neighbours?